So you’re having a party. And, you need to jazz it up. Add confetti!!! 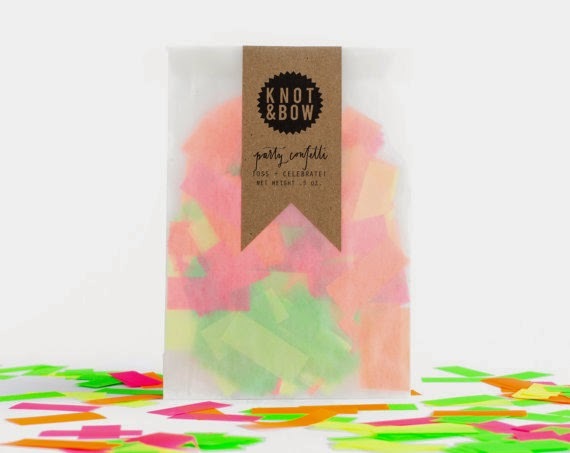 You can throw it, drop it in an envelope for a fun surprise or decorate your tables with it. Kind of whatever you feel like. 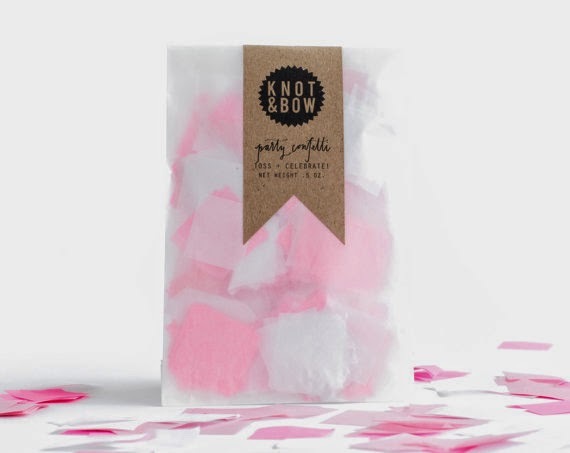 I love the confetti bombs I found from Knot & Bow. 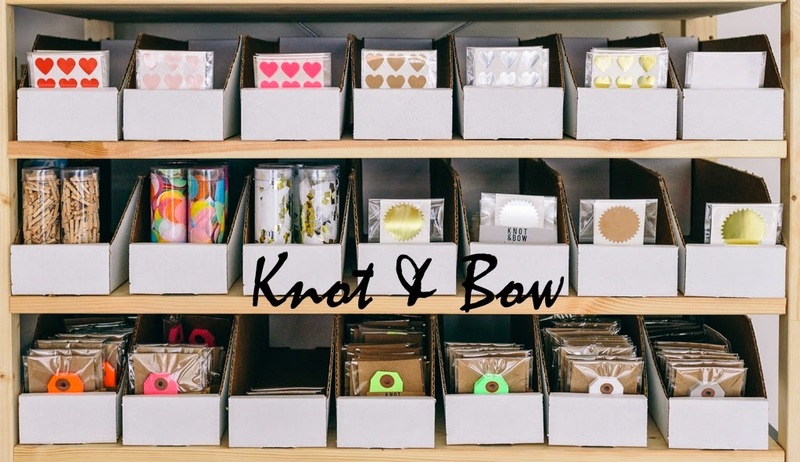 Based in Brooklyn, NY, this charming company sells a curated collection of stationery, party supplies and paper. Basically everything you need to spice up your party or your mail. My kind of place! 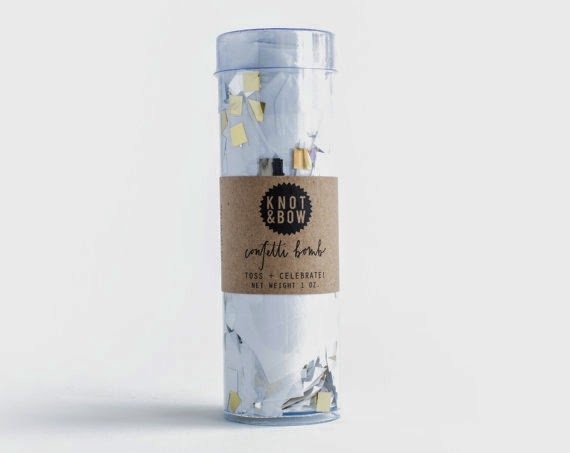 And, if nothing else…..surprise your kids on the last day of school, the first day of camp, or on a rainy day with a shower of confetti. Elizabeth, I love all your ideas and resources to make every day a party. 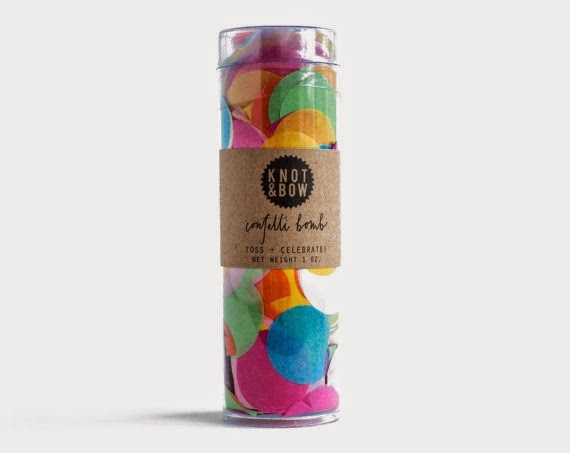 This confetti looks bright and fun and I want to check out what else Knot & Bow has to help us celebrate the big and little things in life. I'm smiling even with our rainy day…love their etsy shop – so many goodies! such fun and great packaging, too! What a great idea for any occasion! Thank you for sharing. Headed over now. What fun! and what a great resource you've shared! So much to celebrate this time of year! Thank you! 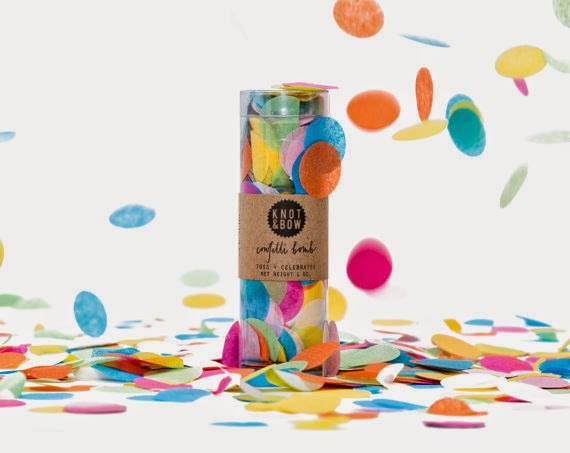 Fun confetti! Sometimes I slip some inside cards I mail so it rains confetti when opened.